2016 HELP: The HGProjects revealed! 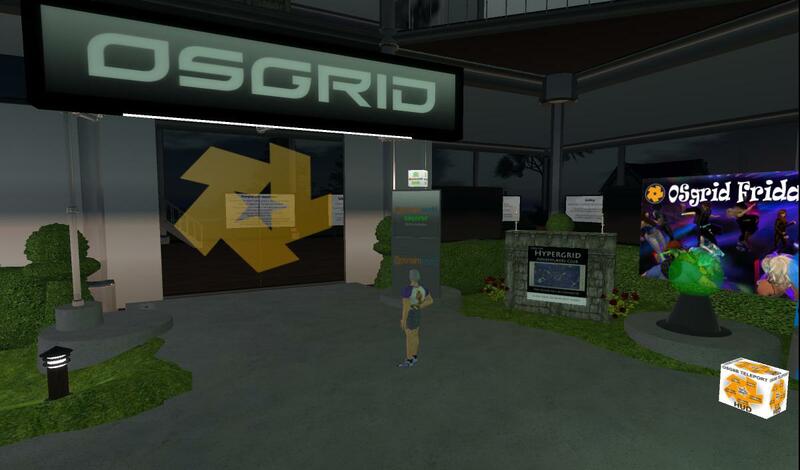 HGProjects is a simple, searchable name for activities aimed at encouraging the use of the Hypergrid. These activities include promotion of activities on the Hypergrid, improvement of the software infrastructure, development of entertainment and entertainment support, improvement of onboarding support, and other things that will make the Hypergrid more attractive to more people. I just made up that name to provide a simple, searchable name. The Hypergrid needs more people. 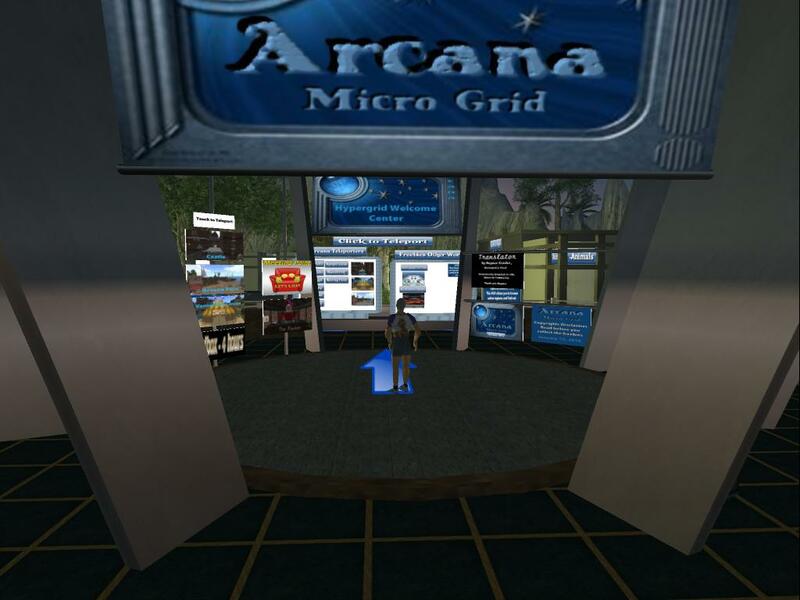 It is a bit like a Chamber of Commerce for the hypergrid. Except we don't yet do overall planning and organization. Linda Kelley is well-known for her extensive and widely distributed freebie products. Now she is creating what will surely be the mother of all freebie zones. There is enough content already to make the place worth a visit. There is a freebie place, too. And the place is adults only. In case you did't notice. WE ARE UP AND RUNNING ON METROPOLIS GRID! Twice a month I gather and post information and links about upcoming opportunities and events in SL or HG. Just the ones that I think will interest my readers. I update the post if I get new information. 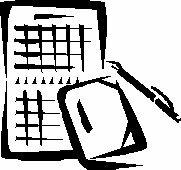 If your event is not listed, mention it in the comments section of this blog. Seanchai Library is kicking off its 2016 celebration of stories and spoken word on Linden Endowment for the Arts region 9, which has been granted to the Library for the winter and spring months. Don Quixote in Words and Images. SLurl: Double-Click to go or drag the slurl onto your viewer. OpenSim Treasure Hunt. Hunt across the Hypergrid. 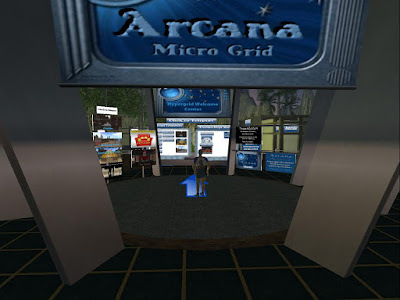 A treasure hunt as wide at the Hypergrid! Just the thing to give reason to explore the Hypergrid. Grids and regions that participate get extra visibility and traffic. They can give gifts with landmarks and promotional content. 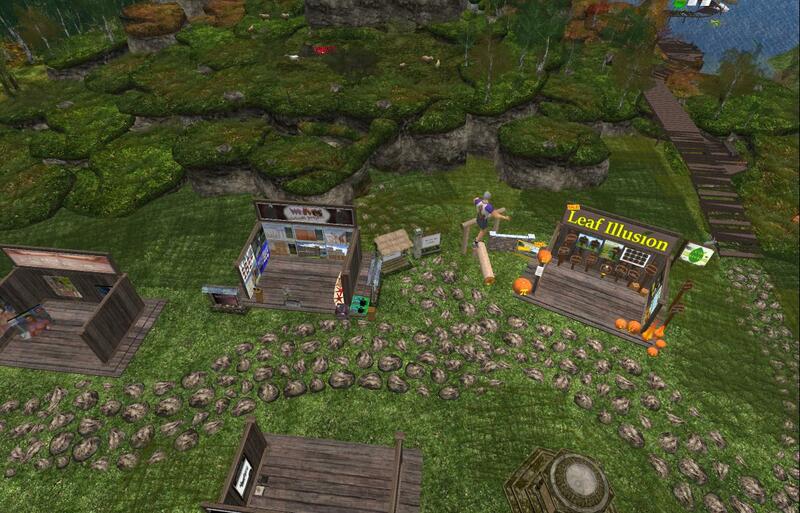 Users can pick up useful gifts and can discover new HG places. This could be a lasting institution on the HG. 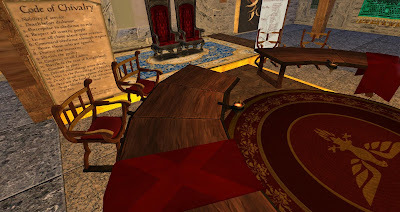 OpenSim Treasure Hunt Jan 31 to March 1. This week the Short Poetry Workshop presents the Cavatina, which is an Italian form dating back to the 14th century. The form has alternating rhyming and non-rhyming lines of 10 and 4 syllables. So join us at the Short Poetry Library to learn, write and share your Cavatina. 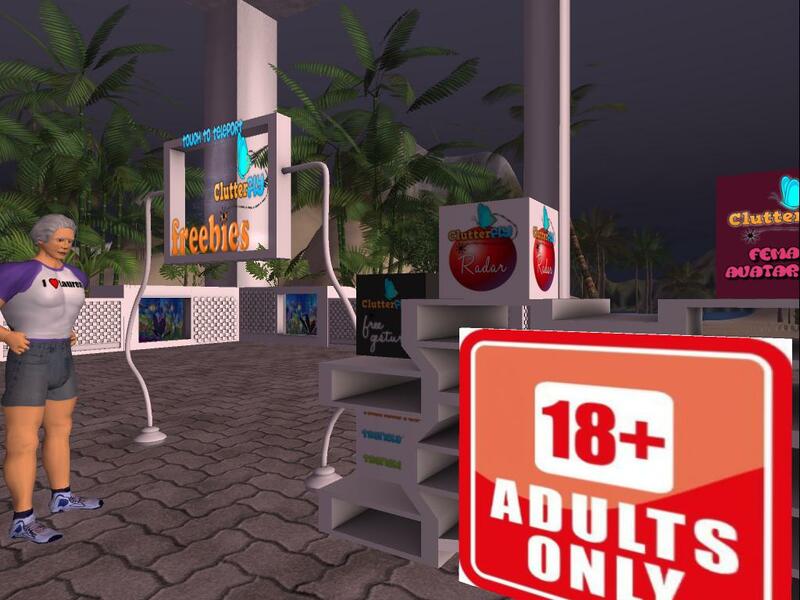 An international immersive learning project is underway in the virtual world of Second Life. The Community Virtual Library is hosting an exhibit through collaboration with the University of Hong Kong. The goal of Medieval Quest is to explore the potential for immersive learning on a global scale. 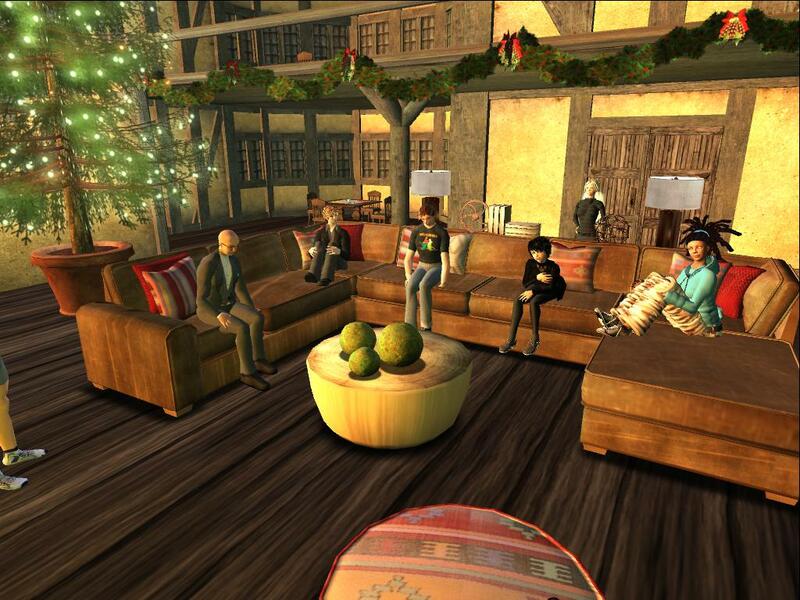 An international immersive learning project is underway in the virtual world of Second Life. The Community Virtual Library is hosting an exhibit through collaboration with the University of Hong Kong. All are welcome to join this engaging global role-play project! documentation of literature-based role-play through machinima. The Hypergrid Welcome Center begins operation. Wright Plaza on Osgrid has a lot to offer. Probably the most important is the OpenSimulator Developers Office Hours. Meets at 2pm EST every Tuesday! In a virtual world people fly. The also cam up to get an overview of the place. And it does not rain. So the roof is not just unnecessary, it cuts off a valuable promotion view. It is there to look like the stores in the old world. Here are some suggestions on making better use of the new world in your computer. 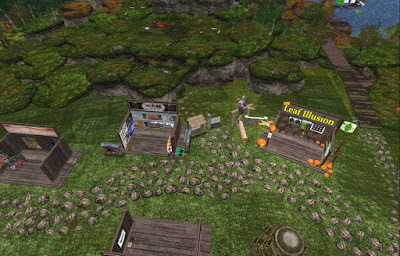 Image taken at the Kitely Merchant's fair. To bring people into virtual worlds, we need to teach them how to use virtual worlds. That means we need to specify the skills needed to use virtual worlds. So we start with a skills analysis. It does not have to be right at the start--just at the finish. I will later propose some instructional plans or report on existing instruction. This week at the Short Poetry Workshop guest host Ngagpa Writer will present Emotion Poems, which are short poems that describe emotions, good or bad. So join us at the Short Poetry Library to learn, write and share your Emotions. Tours are one way for newcomers to get acquainted with the HG. Here are some things to know about that may make your trip easier. Others? Put in comments on this article. Set prefs for doubleclick TP so you can TP to any place you click on. Know how to use the Firestorm Hop. A video account of people who started using a virtual world to make a living and progressed to using it to make a marriage. The mainstream media likes to point out how "living online" destroys relationships in the "real" world but for one American-Scottish couple the virtual world of Second Life became a facilitator: a conduit to finding each other's "soulmate". 2016 STAGE: Avatar Repertory Theater is looking for a few good voices! 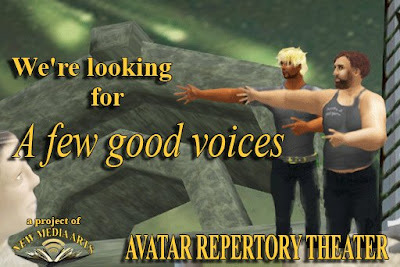 Avatar Repertory Theater is looking for a few good voices! Avatar Repertory Theater is looking for a few good voices! Our upcoming shows scheduled so far this year: Shakespeare's "Two Gentlemen of Verona" in February, Taming of the Shrew and Titus Andronicus TBA, in OpenSim, at our Cookie II world at the Kitely grid. 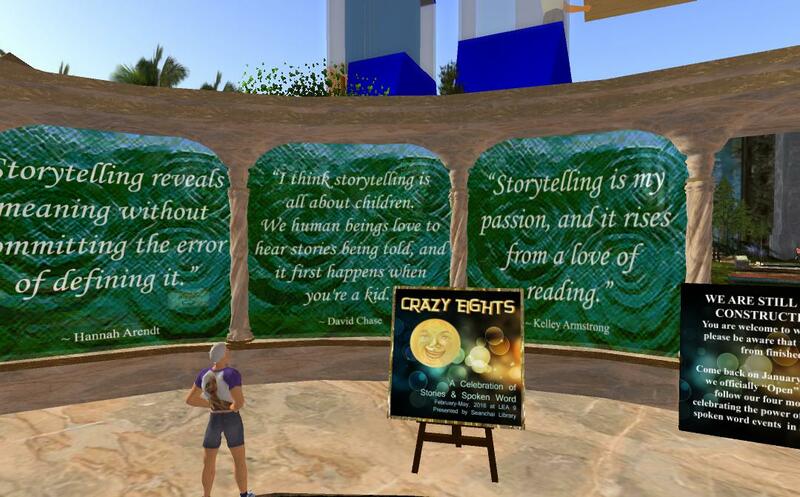 We'll also be starting a virtual world theater workshop series at our Cookie II world on the Kitely grid in a few months. Theses in OpenSim, at our Cookie II world at the Kitely grid. 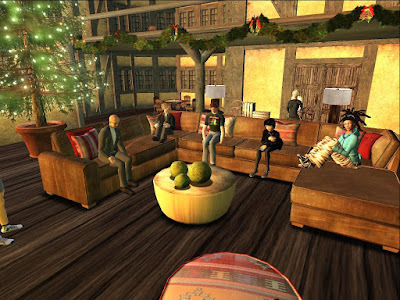 at our Cookie II world on the Kitely grid in a few months. with over 280 performances under our virtual belts. Do you want comments on your blog posts? Do you want people to send your post to Facebook, Goggle or other social media? Then be sure it is easy for them to do what you want them to do. I follow lots of blogs. Often I want to mark a Like, send one to my Google stream, or make a comment . Sometimes I can. Too often I find no way to do that easily or at all. If you are not offering your readers an easy way to comment on your blog and an easy way to pass on your article to others, you are missing a valuable way to promote your work. 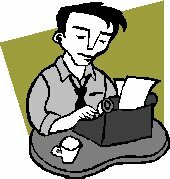 I also write a blog. So I have to deal with these matters from both sides. After the break I will offer some suggestions. Intersections is a 4x4 megaregion on Kitely developed from the idea originated in Myst, that it is possible to create and visit worlds by writing about them. Extending that idea to virtual worlds led to the creation of worlds where people can visit, explore, do things, chat with friends and enjoy in ways that go far beyond solving puzzles. You could only go to a few spots where the images had been prepared. You were all by yourself, alone. You had to solve a puzzle to get back from where you went. This week the Short Poetry Workshop presents the Pirouette, an invented form of 10 lines with 6 syllable per line and a “turn-around.” No ballet shoes or tutu required. So join us to learn, write and share your Pirouette.